Most families today involve two working parents. Both the father and mother in many families get up each morning and go to work. The days where there was a stay at home mom and she was, per say, given custody in virtually all cases, is long gone. Fathers’ rights have come a long way in the 21st century. Although fathers have received custody of their children in more situations today than they have in the past, they are still litigating an uphill battle in most custody cases. 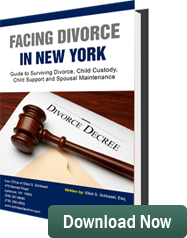 The significant changes in law in the State of New York giving fathers equal rights to obtain custody have not eliminated all of the prejudice and assumptions that still exist in judges’ minds when they are faced with the issue of who should receive custody of the child or children. Having an experienced fathers’ rights lawyer to advocate on your behalf is the most important step you can take if you are a father and you seek custody of your children. Fathers’ play important roles in their children’s lives. Studies have shown children who don’t have significant interaction from their fathers are more likely to drop out of school, be involved later in life in domestic violence and are more likely to be involved in the use of illegal drugs. Even in cases where a father does not have custody of his children it is important for the father to be involved in his children’s lives. Fathers have a right to be in their children’s lives and should fight to see to it that these rights are protected. There are a number of common mistakes made by fathers in custody and visitation disputes. This applies to fathers in situations where they are married and in situations where the children are born out of wedlock. 1. Moving out of the home. It is almost always a mistake for the father to move out of the home where the mother and the children reside. In some situations, the mother will simply change the locks and not allow the father back in the house. This will cause the father to obtain court orders and spend potentially significant amounts of money on lawyers to get the visitation he would have had if he had simply stayed in the home. 2. Failure to fight false orders of protection. A technique sometimes utilized by some women as a precursor to custody disputes is to file either in the Family Court or the Criminal Court false allegations of domestic abuse. In these situations, courts tend to hand out temporary orders of protection to women based on unsubstantiated allegations. Fathers sometimes think they can’t win these cases and that by stipulating to either a stay away or do not harass order of protection is the easiest way out of the situation. This is a tactic commonly utilized by women whose real desire is to obtain custody of the children. Fathers need to aggressively fight false applications for orders of protection. Consenting to an order of protection can have a significant limiting impact on a father’s ability to have custody, visitation and/or a relationship with his children. Elliot S. Schlissel, Esq. is an attorney practicing Matrimonial and Family law in the metropolitan New York area for more than 35 years. He and his staff of attorneys have successfully litigated numerous cases on behalf of fathers involving issues concerning custody and visitation. Our phones are monitored 7 days a week. Call 1-800-344-6431, 516-561-6645 or 718-350-2802 for a free consultation.